Right now, there are approximately 22 million people in Yemen who are in desperate need of our help. Ravaged by the realities of war, it has been stated by the U.N. Secretary General that the people of Yemen are facing the world’s worst humanitarian crisis. Millions upon millions of innocent, vulnerable people – including millions of children - have lost their homes, their lives and their families. Over 8.4 million people don’t know where their next meal is coming from, and the risk of starvation is very real. Reports state that one child under the age of 5 will die in Yemen every ten minutes, and these deaths are entirely preventable. We urgently need your help to saves lives in the midst of a deadly famine. The conflict began in 2015 and has caused utter devastation. Homes, schools and businesses have all been destroyed and the economy subsequently collapsed. To date, over 9,000 people have been killed and 50,000 more left injured through no fault of their own. The country’s main entry point for food, fuel and essential supplies has suffered problems, too, leaving those left fighting for their lives with the prospect of malnourishment and starvation. The situation is critical - millions of people are at risk of starvation, disease and violence. With the conflict escalating, it is likely that food and medical supplies will become scarcer moving forward despite the ongoing efforts from charities and the UN regarding a ceasefire. We can’t let this go on. 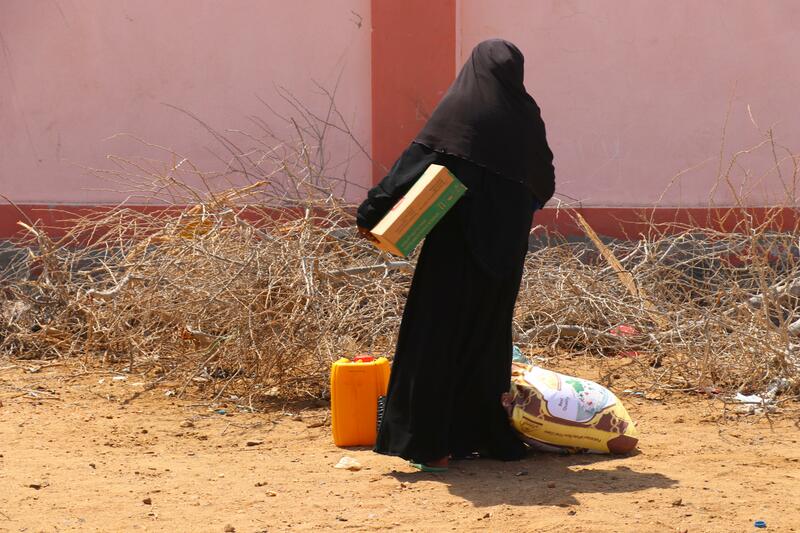 Here at Muslim Aid, we are working with our partners to deliver food, clean water, healthcare, and essential non-food items in our Yemen Crisis Appeal. We will not stand by and watch this devastation unfold; we are ready to respond. Our efforts are only made possible with your support. You help could save lives. will provide water for 250 people a day. In addition, we will provide food vouchers that will be given to over 5,400 internally displaced people, in particular, the elderly and the poorest households in Aden, Yemen. Muslim Aid continues to collaborate with its funding partner, UMCOR, and this particular project is part of a series of joint or funded institutional grants received. The disastrous situation on the ground is both debilitating and heartbreaking in equal measure. Air strikes and political instability have left the people of Yemen suffering from widespread poverty, famine and life-threatening diseases. While many lives were lost in the initial conflict, many more have since been lost due to the devastating effects of the war – and sadly, these are all entirely avoidable. We have been working with our partners on the ground to deliver emergency aid where it is needed most, providing humanitarian assistance to millions of people affected as a direct result of the war around them. With hundreds of thousands of Yemeni people displaced, having fled to neighbouring countries, we desperately need your donations to help deliver crucial aid. We are doing what we can, but there are still millions more people who need our help. Can you imagine a life without a home for your children? Can you imagine living with the pain of hunger and not knowing where your next meal will come from? Can you imagine the heartbreak of not being able to take the hunger pains away from your children as they grow weaker through lack of food? Millions of people in Yemen are suffering, with no way of appeasing their suffering. The little food that is available is unaffordable for most, and many millions are reliant on humanitarian aid to get through this crisis. With your donations towards our Yemen Crisis Appeal, you can help us provide essential food, water and medical supplies to those who need it most. Your donations will help us provide vital aid to the most vulnerable and bring a little relief into a life that deserves so much more.